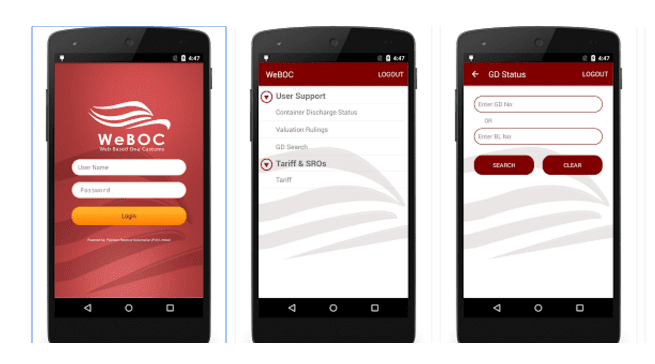 In Order to Install WeBoc`s Android Application in Your Mobile, Just Type WeBoc Apps In Google Play Store & Install It, That’s All! – You can search current status of your GDs using GD or BL number, this feature also enables you to retrieve the status of vessel. – This feature provides latest tariff, applicable exemptions and conditions of import ability. – Search valuation rulings issued by customs through different parameters such as HS Code, Origin, and Description. – Know container off-loading status with ease.